49/65 Kim Hollis Way, way too hard to watch. You'd think it's for dog lovers, but it's just overly traumatic. 53/200 Max Braden A good family drama, but almost too intensely bittersweet for kids. 94/159 David Mumpower This is a very good movie if you can handle the insane tension. As an animal lover, it was far too much for me. Based on a National Geographic article, Antarctica stars Paul Walker in the story of two explorers who go to the frozen continent in search of a meteorite. When the conditions become untenable, they are forced to leave their sled dogs behind and turn back. 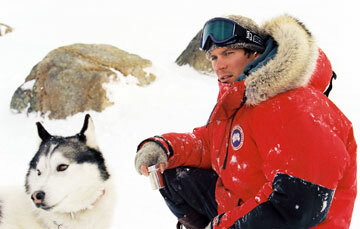 See the latest developments for this project on the Eight Below Movie News page.